Knowing how to handle your finances throughout your lifetime is a crucially important skill and South University, High Point students recently had the opportunity to learn about the value of having a financial plan. 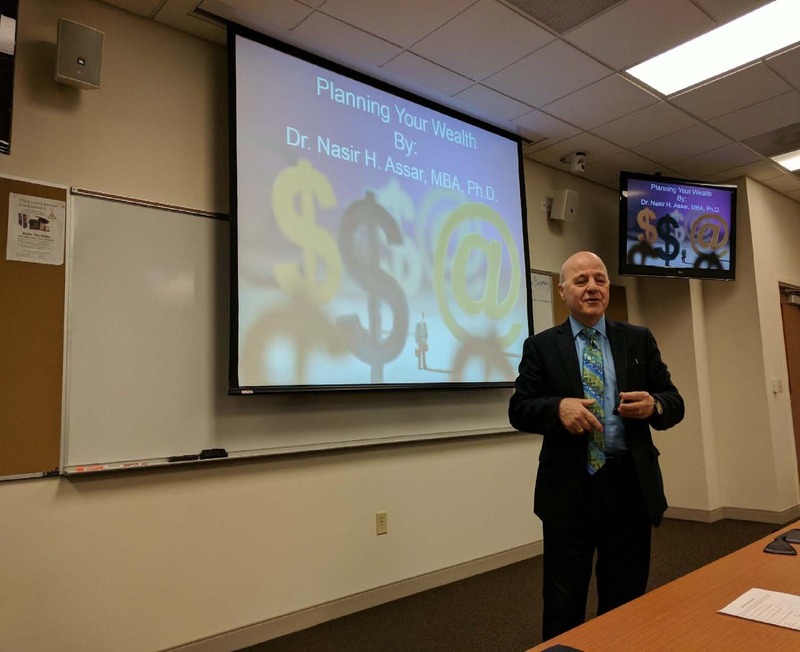 South University, High Point College of Business faculty member Nasir H. Assar, MBA, Ph.D. presented “Planning Your Wealth: Financial Literacy” on the campus as part of its Quality Enhancement Plan (QEP) lecture series. The event focused on how a financial needs analysis should be the first step in creating a simple financial plan that can grow more sophisticated over time. Assar also serves as the Campus QEP Coordinator.